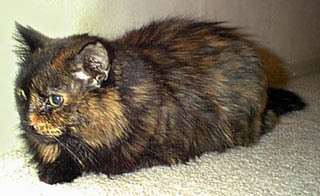 Lucy was a lovely tortie who lived a remarkable life of 20+ years. 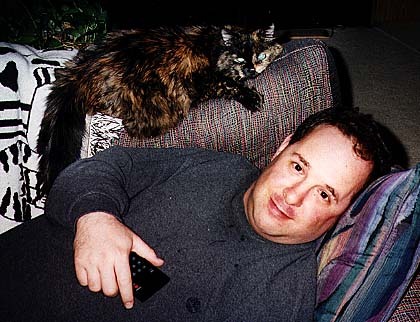 She was always a daddy's girl, and was fond of flirting with anyone who entered our apartment. 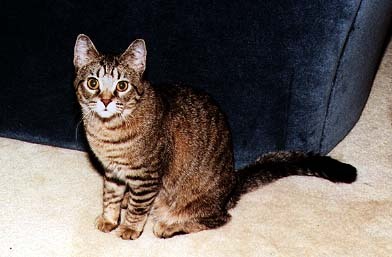 In the early days she was a street kitty who terrorized rodents, birds and bats in Evanston bringing home 'kill' on a regular basis. She also was a groupie who slept around with just about everyone including the guys from Garbage. Lucy finally attainined the status of city cat after many years as a suburban hunter/killer. 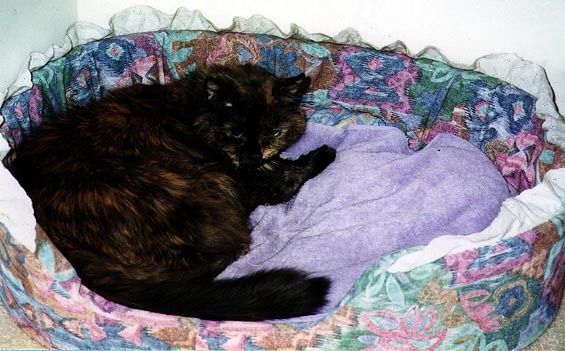 Once Lucy became a fat city cat her favorite activity was, energy conservation (how do you think she lived so long). 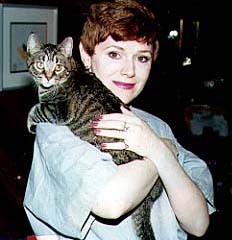 Bacall was a beautiful tabby that Janet raised from a wee kitten until her sudden death when she was 12. 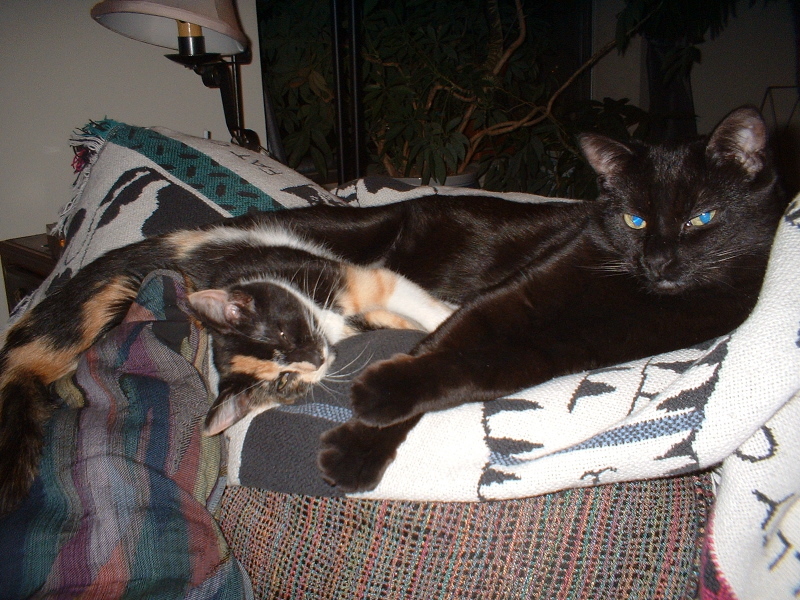 She was adopted as a tiny kitten from Feline's cat shelter and immediately bonded to Janet. 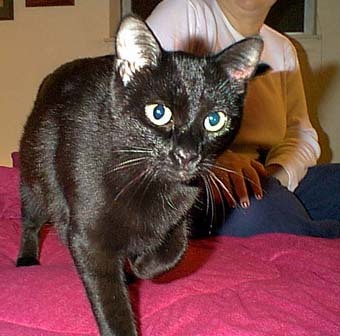 Bacall was very playful and loved cats and humans. 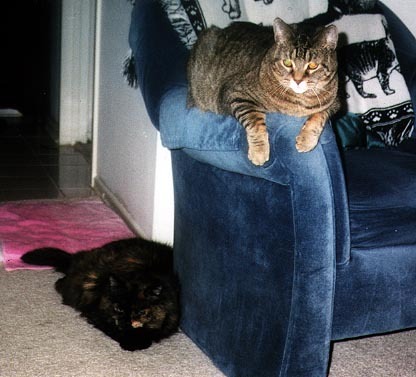 One of her favorite activities was to taunt Lucy, who is not fond of other felines. 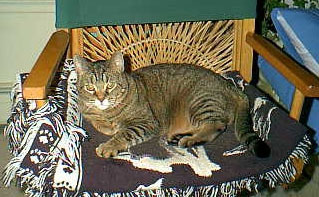 Another role she assumed "director Bacall", controlling the activities of her humans. 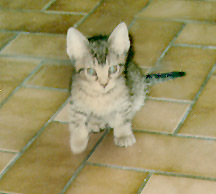 Bacall was not shy and would flash her white tuft at to anyone. 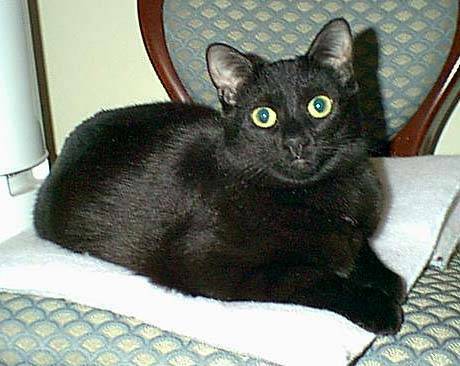 Here is Bacall at 6 months old. 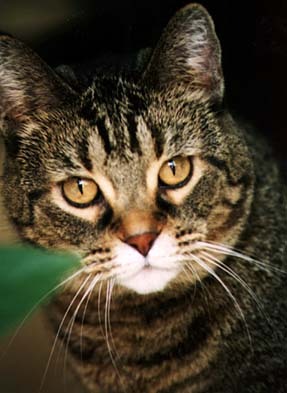 Bacall was a poet and inventor, she wrote this cat haiku shortly before her death. Kassandra is our eldest child. 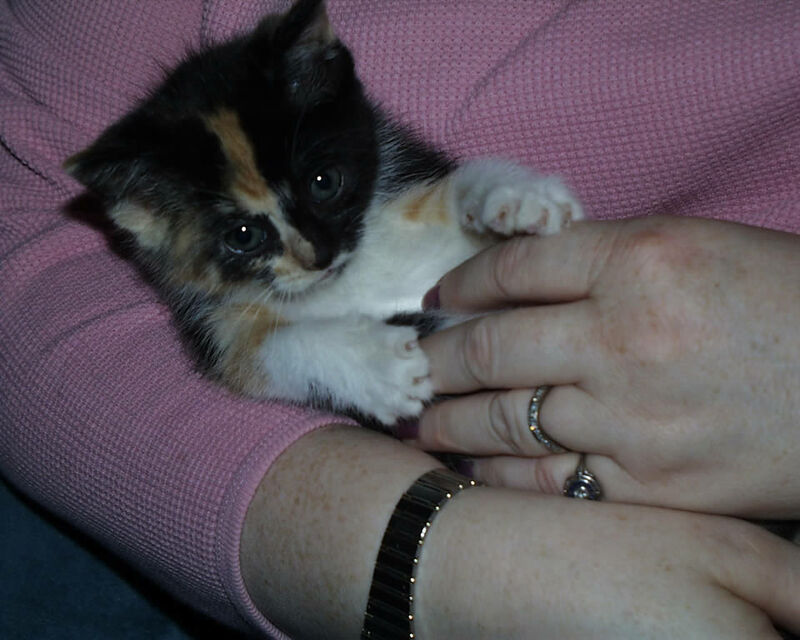 She was rescued from an abandoned building by the fine folks at PAWS (Pets Are Worth Saving) and carefully nursed to the picture of health. Kassie looks very much like she has Burmese ancestry. 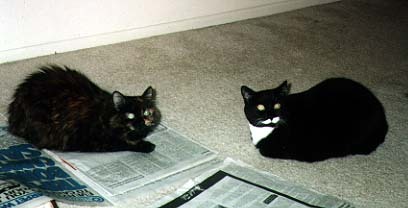 On the left she is relaxing,after a long day on on the prowl. 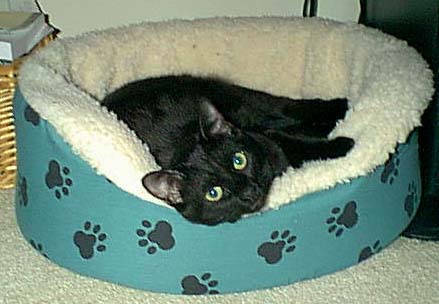 Kassie has now joined the union at the urging of her sisters thus she now spends a lot of her day in bed or at work. 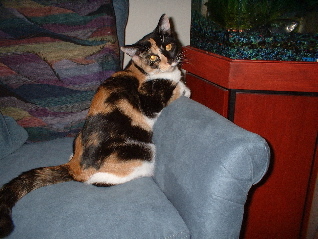 Kassie also loves to spend time hunting her new housemates the fish. 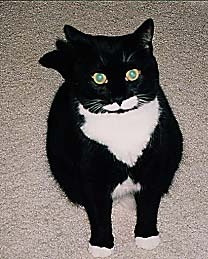 Garbo was a very special tuxedo cat who we lost to feline leukemia. 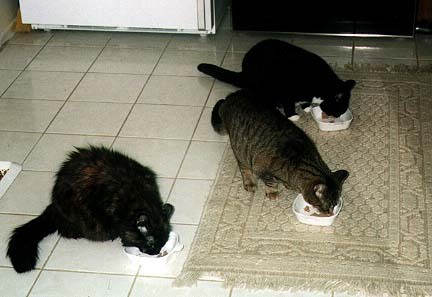 Here is a group shot of her doing catnip with Lucy and one of the three little pigs (Bacall, Lucy and Garbo). Family Pet Animal Hospital - Best Vet in the city!